As you can tell from my company name, I’ve had a great passion for travel for many years. 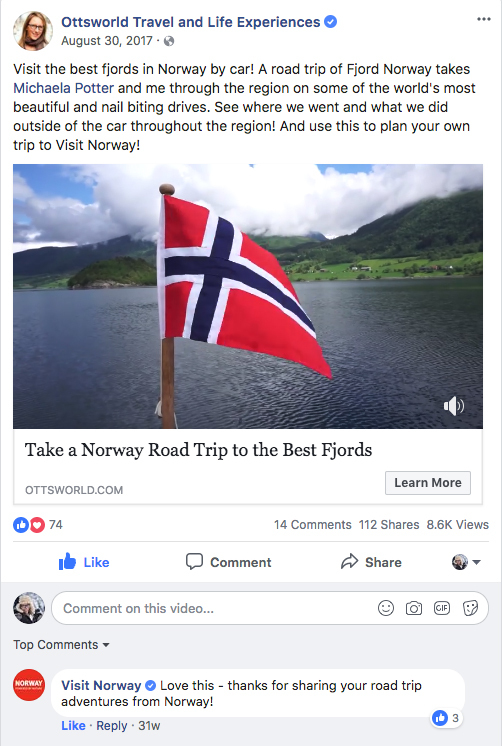 Some of my most recent projects have included traveling to Norway and Alaska with travel writer and influencer Sherry Ott of Ottsworld Travel and Life Experiences, serving as her videographer. 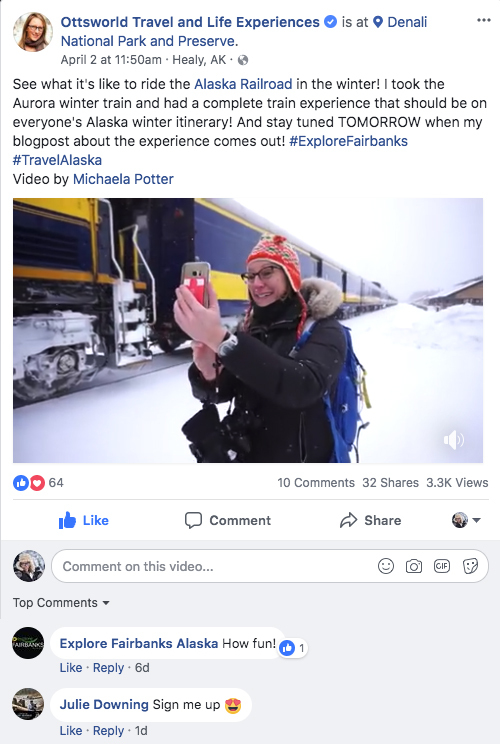 The tourism boards – Visit Norway and Explore Fairbanks – sponsored those trips and the videos have been shared across a variety of online platforms.